Who is Lying on the Procrustean Bed? : Current Historians of the World, Denationalize Ourselves! Abstract: This paper aims to analyze and evaluate the arguments presented in the Writing the Nation series (hereinafter WtN), targeting particularly its Vol. 2 entitled Setting the Standard (hereinafter StS). In a globalized world, do we historians still need to talk about national history, that is, the practice of writing the history of nations or should we not instead seek to produce historical works suitable for the globalized world, including global histories? Naoki Odanaka argues that the present era of globalization demands that the historian abandons its state-centered focus and instead begins to construct history from a global perspective in order to use history as an instrument to understand how we reached the current political, economic, political, and cultural dynamics. His argument departs from the conclusions of the Writing the Nation series, and more particular volume 2 of that series, where a consensus among almost 100 historians was reached that a refocus of the study of history was necessary in order to adapt to current realities. Odanaka asks whether the current focus on “national history” is relevant or if historians should instead “produce historical works suitable for the globalized world;” in other words, should they instead engage in the production of global histories? 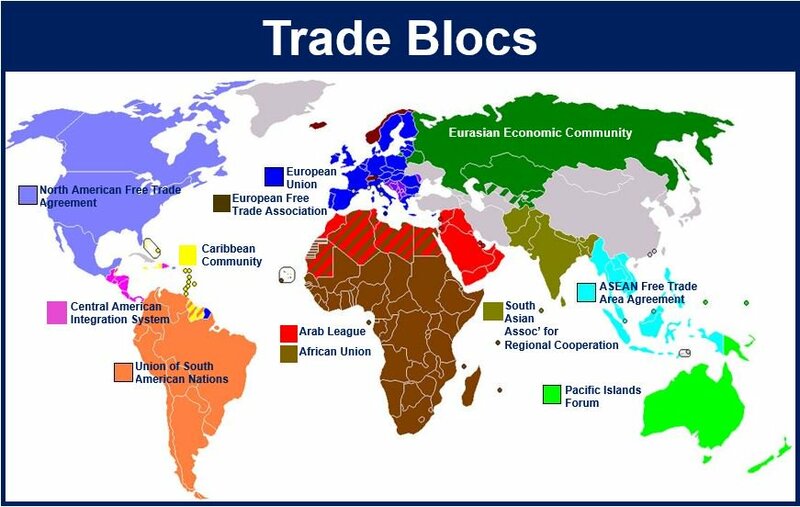 Odanaka does not discard the relevance of national history but instead suggests we move toward a global analytical approach that connects and provides a more holistic understanding of developments such as free trade, multilateralism, the emergence of trading blocks, geopolitical transformations, movements of people and commodities, and technology. National histories, suggests Odanaka, continue to serve their purpose of nation building. They are important tools for the construction of national identity; they “legitimize the existence” of the nation-state. From his perspective, there is no denial that the nation-state continues to be relevant, and in some regions the concept “has grown stronger,” but globalization has inevitably impacted the political, economic, social, cultural, and environmental development of each nation. The dynamics of globalization have “destabilized” the lives of private, public and social actors, forcing them to “cling” to their national identities as they become challenged by the flow of goods, ideas and people, and it has been the role of the traditional historian to keep the construct of the nation-state alive in spite of the changing dynamics. Odanaka highlights the flow of immigrants from the Middle East to Europe and the impact that this has had on the nation-state narrative, forcing the co-existence between the global and the national interpretations of history. The author’s Euro-centric focus impedes him from moving beyond the North-South dynamics of globalization. A more holistic analysis of South-South and North-North dynamics would have strengthened his argument, since the legitimization of the nation-state is challenged by transformative historical realities within the global North and the global South as in the case of Venezuelan-Colombian relations or British and European Union relations that may only be explained through transnational global history. Naoki Odanaka does agree that current realities may not be explained through the cohesively confined borders of the nation-state, because doing so leads to “methodological nationalism.” There is no exclusivity anymore; borders have become very porous and in some instance they have completely disappeared as in the case of commercial trade under the North American Free Trade Agreement (NAFTA) or as in the case of global human and narcotics trafficking. Therefore, says Odanaka, historians need to center their research strategy on “other frameworks of historical research.” He suggests new approaches such as non-spatial focuses or “non-national spatial identities.” His critical views of the nation-state approach impede him however from considering other spatial dimensions of historical analysis that, although relying on the nation-state, only incorporate the nation-state as one of many transnational actors within the more holistic analysis. For example the labor history of oil that forces the historian to see not only labor as a transnational issue, but corporations, management culture, institutional frameworks, technology, commercialization, transportation, marketing, and consumption as well. Noaki Odanaka concludes by saying that the professionalization of the historian depends on the traditional notion of the nation-state as the central focus of historical narrative. There is a notion that there cannot be a historian without the nation-state, thus the state-centered focus of the local and international institutions that promote and justify the profession and science of history. 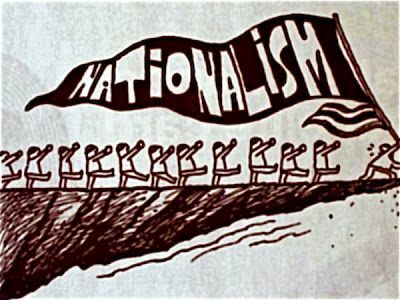 From the beginning, the methodology became state-centered, thus his argument about the prevalence of “methodological nationalism” and the need to change this culture from within the profession. Odanaka therefore suggests that a shift away from nation-state dependency demands institutional changes as well as a revision of the science’s methodology. History may no longer be used as an instrument for the justification and preservation of the nation-state. Odanaka would agree that global and transnational approaches to the study of history may serve as an instrument to help societies look at themselves in the mirror, leading them to question traditional views by breaking the barriers of imaginary borderlands that currently impede the public from seeing the historical interconnectivity that has always existed between humans, commodities, ideas, cultures, and physical environments. History may serve as an instrument to break down the status quo, debunking the sovereignty of the nation-state, a reality that is already visible under the new dynamics of globalization. This might mean that historians may cease to exist as agents of the nation-state and instead serve as agents of humanity. Odanaka recommends that professional historians self-reflect on their responsibility to humanity. This is challenging, particularly for historians in the Global North who are writing and researching from a position of privilege as well as for those historians in the Global South clinging to fragile institutional and nation-state structures that are quickly being dismantled by the market forces of globalization. Odanaka reminds historians to reflect on the current political, economic, social, cultural, technological, and environmental realities in which they are living. He reminds historians that their job is to connect the past with the present in order to decipher and explain contemporary realities, constantly aware of identity and spatial constructs that limit our scope as researchers. Naoki Odanaka, “Who is Lying on the Procrustean Bed? : Current Historians of the World, Denationalize Ourselves!” (paper, review forum for the Writing the Nation Series, Sogan University, Seoul, Korea, April 22, 2016), 1. Odanaka points out the case of local historians in France and Germany as well as Japanese historians that went against the status quo in order to illustrate alternatives to traditional nationalist approaches to history. Ibid., 5-6. This entry was posted in Historiography and tagged global history, globalization, national histories, transnational history on 2018-02-08 by Stefano Tijerina. Abstract: Comparisons of economic performance over space and time largely depend on how statistical evidence from national accounts and historical estimates are spliced. To allow for changes in relative prices, GDP benchmark years in national accounts are periodically replaced with new and more recent ones. Thus, a homogeneous long-run GDP series requires linking different temporal segments of national accounts. The choice of the splicing procedure may result in substantial differences in GDP levels and growth, particularly as an economy undergoes deep structural transformation. An inadequate splicing may result in a serious bias in the measurement of GDP levels and growth rates. Alternative splicing solutions are discussed in this paper for the particular case of Spain, a fast growing country in the second half of the twentieth century. It is concluded that the usual linking procedure, retropolation, has serious flows as it tends to bias GDP levels upwards and, consequently, to underestimate growth rates, especially for developing countries experiencing structural change. An alternative interpolation procedure is proposed. Dealing with National Accounts (hereafter NA) is a hard; dealing with NA in the long run is even harder….. Broadly speaking, a quick and ready comparison of economic performance for a period of sixty years or more, would typically source its data from the Maddison project. However and as with any other human endevour, this data is not free from error. Potential and actual errors in measuring economic growth is highly relevant economic history research, particularly if we want to improve its public policy impact. See for instance the (brief) discussion in Xavier Marquez’s blog around how the choice of measure can significantly under or overstate importance of Lee Kuan Yew as ruler of Singapore. The paper by Leandro Prados de la Escosura, therefore, contributes to a growing debate around establishing which is the “best” GDP measure to ascertain economic performance in the long run (i.e. 60 or more years). For some time now Prados de la Escosura has been searching for new ways to measure economic development in the long run. This body of work is now made out of over 60 articles in peer reviewed journals, book chapters and academic books. In this paper, the latest addition to assessing welfare levels in the long run, Prados de la Escosura discusses the problems in using alternative benchmarks and issues of spliced NA in a country with a notorious structural change, Spain. The main hypothesis developed in this article is to ascertain differences that could appear in the long run NA according to the method used to splice NA benchmarks. So, the BIG question is retropolation or interpolation? Retropolation: As Prados de la Escosura says, involves a method that is …, widely used by national accountants (and implicitly accepted in international comparisons). [T]he backward projection, or retropolation, approach, accepts the reference level provided by the most recent benchmark estimate…. In other words, the researcher accepts the current benchmark and splits it with the past series (using the variation rates of the past estimations). What is the issue here? Selecting the most recent benchmark results in a higher GDP estimate because, by its nature, this benchmark encompasses a greater number of economic activities. For instance, the ranking of relative income for the UK and France changes significantly when including estimates of prostitution and narcotrafic. 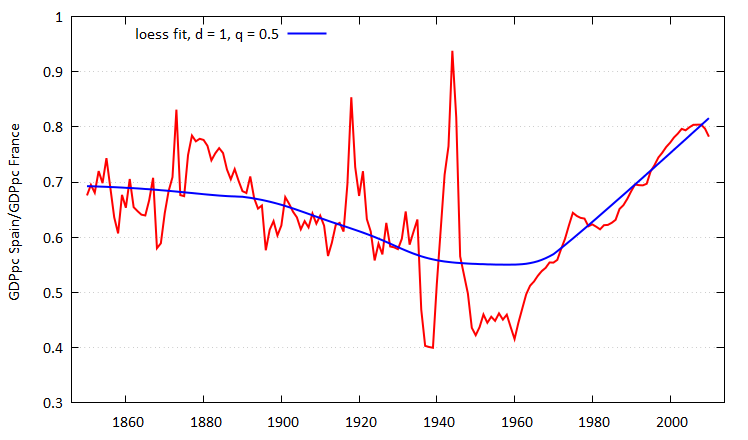 This “weird” example shows how with a higher current level and using past variation rates, long-run estimates of GDP will be artificially improved in value. This approach thus can lead us to find historical anomalies such as a richer Spain overtaking France in the XIXth century (See Prados de la Escosura figure 3 below). An alternative to the backward projection linkage is the interpolation procedure. This method accepts the levels computed directly for each benchmark year as the best possible estimates, on the grounds that they have been obtained with ”complete” information on quantities and prices in the earlier period. This procedure keeps the initial level unaltered, probably being lower than the level estimated by the retropolation approach. There are two more recent methods to splice NA series derived from the methods described above: the “mixed splicing” proposed by Angel de la Fuente (2014), which uses a parameter to capture the severity of the initial error in the original benchmark. The problem with this solution is the arbitrary value assigned (parameter). Let’s see it graphically and using data for the Maddison project. As it is well known, these figures were recently updated by Jutta Bolt and Jan Luiten van Zanden while the database built thanks to the contributions of several scholars around the world and using a same currency (i.e. the international Geary-Kheamy dollar) to measure NA. 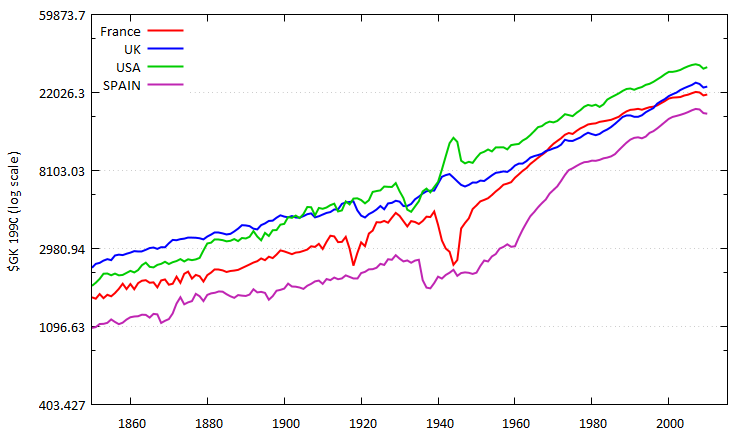 Now, in figure 1 shows a plot of GDP per capita of France, UK, USA and Spain using data from the Madison project. Figure 3. Spain’s Comparative Real Per Capita GDP with Alternative Linear Splicing (2011 EKS $) (logs). In summary, this paper by Prados de la Escosura is a great contribution to the debate on long run economic performance. It poises interesting challenges scholars researching long-term growth and dealing with NA and international comparisons. The benchmarks and split between different sources is always a source of problems to international comparative studies but also to long-term study of the same country. Moving beyond the technical implications discussed by Prados de la Escosura in this paper, economic history research could benefit from a debate to look for alternative measures or proxies for long-run growth, because GDP as the main source of international comparisons is becoming “dated” and ineffective to deal with new research in inequality, genuine savings Genuine Savings, energy consumption, complexity and gaps between development and developed countries to name but a few. Bolt, J. and J. L. van Zanden (2014). The Maddison Project: collaborative research on historical national accounts. The Economic History Review, 67 (3): 627–651. Prados de la Escosura, Leandro (2003) El progreso económico de España (1850-2000). Madrid, Fundación BBVA, , 762 pp. 2) Prados de la Escosura’s A new historical database on economic freedom in OECD countries | VOX, CEPR’s Policy Portal. This entry was posted in Analytic Narratives, Analytical Narratives, Economic growth, Economic History, Europe, Globalization, Historiography, Macroeconomics, Method & Epistemology in History, Spain, Welfare Economics and tagged economic history, globalization, institutions, Long run development, long-run economic growth, method, methods of economic history, seville spain on 2015-11-23 by tambo0986. With their legal personhood, permanent capital with transferable shares, separation of ownership and management, and limited liability for both shareholders and managers, the Dutch East India Company (VOC) and subsequently the English East India Company (EIC) are generally considered a major institutional breakthrough. Our analysis of the business operations and notably the financial policy of the VOC during the company’s first two decades in existence shows that its corporate form owed less to foresight than to constant piecemeal engineering to remedy original design flaws brought to light by prolonged exposure to the strains of the Asian trade. Moreover, the crucial feature of limited liability for managers was not, as previously thought, part and parcel of that design, but emerged only after a long period of experimenting with various, sometimes very ingenious, solutions to the company’s financial bottlenecks. The Dutch East India company may be among the best researched businesses of all time, but it is testament to its importance as a proto-multinational and the quality of its archive that research on this firm continues to inform contemporary research debates. The working paper by Gelderblom, De Jong & Jonker (NEP-HIS 2014-01-17), which has since been published in the Journal of Economic History, is interesting as it deals with the early years of the VOC (Vereenigde Oostindische Compagnie), and presents both a historical narrative as well as some distinctive challenges to previous assumptions. Their paper has to be seen as both an interesting contribution to other researches on the VOC, as well as some more general debates. The continued interest in this very old company is due to a variety of reasons. Even a short sweep of recent work that relates to the VOC shows a remarkable breadth of themes. Wim van Lent has compared management policies of the VOC with its competitor, the English East India company, to understand some problems of its organizational evolution (Sgourev & Van Lent, 2011). This comparison is so intriguing not just because of the Dutch-English colonial competition during this time period, but also because the two East India companies were organized very differently, and almost provide a naturally occurring counterfactual for each other in a laboratory that tests organizational effectiveness at long distance. As both firms date back to the seventeenth century, and were among the first well-documented examples of how organizations dealt with the challenges of managing across vast distances, their corporate histories are of great importance in and of themselves. Both provide organizational solutions to some of the perennial problems of multinationals, which struggled with poor communication and oversight of operations, especially the difficulties of enforcing control and monitoring the trustworthiness of its agents. But despite all of these similarities to the multinationals of later stages, the East India companies were also fundamental different, and creations of their own time. The companies, especially the VOC, often took on roles that made them quasi-governmental bodies. As a result, they were involved in some of the day-to-day issues of governance of empire, which made these archives particularly rich. Thus they have been researched beyond the narrow confines of business history, and the particular insights that can be gained from those files have been discussed in great detail by Ann Laura Stoler (2009), a well-known postcolonial historian of gender and empire. The conduct of business often involved the company in political and personal issues well beyond what one would usually expect to see in a business archive, which offers rich contextual insights into the time period and its attitudes. It is in this regard that the paper by Gelderblom et al. 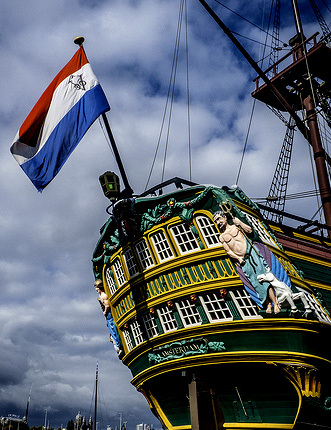 is interesting, as it discusses the attitudes and conflicts within the Netherlands over the control and financing of the VOC, and the exact rights and obligations of its directors. The paper takes core historical values such as contextualization and contingency (O’Sullivan & Graham, 2010) seriously, and paints a rich picture of the time period and some of the characters that influenced the decision-making within and beyond the VOC. The importance of these issues lies in more conceptual debates about the evolution of limited liability in the West (as opposed to other commercially vibrant areas such as the Middle East). Gelderblom et al.’s analytically structured narrative (Rowlinson, Hassard & Decker, 2014) highlights that although the VOC possessed some important legal features that we commonly associate with modern corporations, others developed only during its first years of operations in response to external pressures. 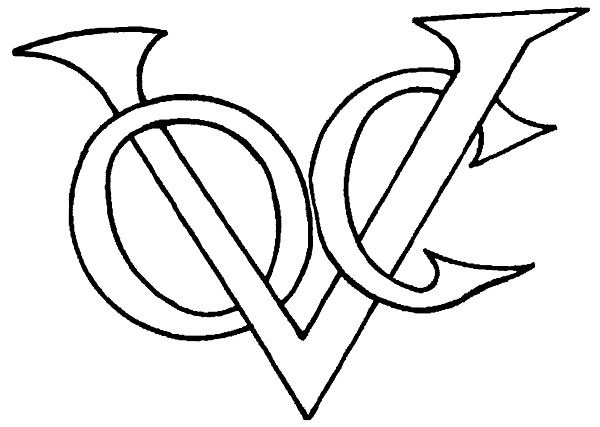 Consequently, having acquired two key features of the modern corporation (the split between ownership and management and transferable shares) from the outset, the VOC obtained three more (a permanent capital, limited liability for directors and by extension legal personhood) step-by-step over a period of some twenty years. Thus the five features did not come as a package, as a coherent logical set. Their narrative shows how most of these pressures reflected financial constraints, as the large-scale trading activities in conjunction with military expeditions were a far larger undertaking than anything that had hitherto been financed on the Amsterdam money markets. This is an important contribution, and their short discussion in the conclusion quite sensitively highlights that some assumptions about the superiority of the Western institutional frameworks, such as argued for by Kuran (2010), are perhaps too ethnocentric to fully understand not just the different evolution of institutions in other cultures, but can also blind researchers to the historically contingent development of the legal frameworks that we now take for granted. In light of the above, it is noticeable that the actual narrative takes up the largest part of the paper, and that it is only at particularly important junctures that the historiographical literature is challenged, while the framing in the introduction and conclusion is more heavily conceptual. These insights that can only be developed from a careful, in-depth historical investigation perhaps deserve better highlighting. This extends to the title, which does not quite do justice to the large themes that inform the historical narrative. Finally, it is only in the appendix that it becomes clear for readers not familiar with the nature of the VOC archive that this early period that the paper deals with is indeed not as well-researched as the later period, especially in terms of its financial performance. All of this adds up to another interesting angle of research on the VOC, which as a company and an organizational archive is clearly a case of great importance for the history of business and its institutional developments. Kuran, T. 2010. The Long Divergence: How Islamic Law Held Back the Middle East. Princeton: Princeton University Press. O’Sullivan, M., & Graham, M. B. W. 2010. Guest Editors’ introduction: Moving Forward by Looking Backward: Business History and Management Studies. Journal of Management Studies, forthcoming. Rowlinson, M., Hassard, J., & Decker, S. 2014. Research Strategies for Organizational History: A Dialogue between Historical Theory and Organization Theory. Academy of Management Review, 39(3). Sgourev, S. V., & van Lent, W. 2011. The Right Amount of Wrong? Private Trade and Public Interest at the VOC European Group of Organization Studies. Gothenburg, Sweden. Stoler, A. L. 2009. Along the Archival Grain: Epistemic Anxieties and Colonial Common Sense. Princeton: Princeton University Press. This entry was posted in Analytic Narratives, Economic History, Historiography, Institutions, Method & Epistemology in History, Money & Banking, Uncategorized and tagged corporate governance, Dutch East India Company, Origins of the Modern Corporation, the Netherlands, VOC on 2014-06-10 by stephdeck1. 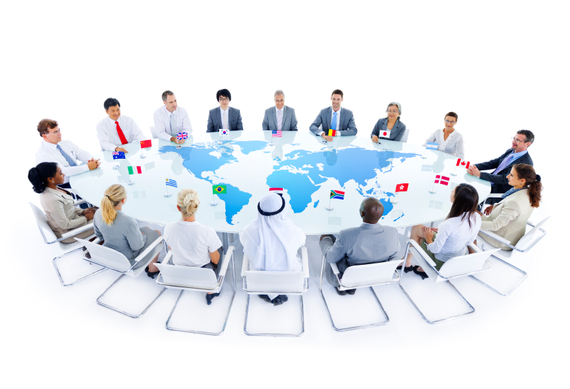 Abstract: The Maddison Project, initiated in March 2010 by a group of close colleagues of Angus Maddison, aims to develop an effective way of cooperation between scholars to continue Maddison’s work on measuring economic performance in the world economy. This paper is a first product of the project. Its goal is to inventory recent research on historical national accounts, to briefly discuss some of the problems related to these historical statistics and to extend and where necessary revise the estimates published by Maddison in his recent overviews (2001; 2003; 2007) (also made available on his website at http://www.ggdc.net/MADDISON/oriindex.htm). Angus Maddison (1926-2010) left an impressive heritage in the form of his GDP estimates. 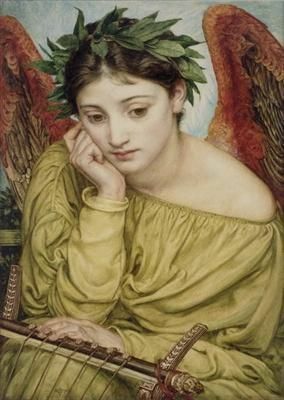 These consider almost all of the world, from Roman times until our days, and are regularly cited by both specialists and non-specialists for long-run comparisons of economic performance. 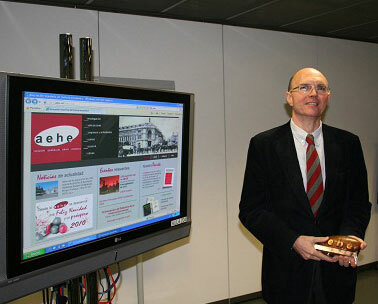 The Maddison project was launched in March 2010 with the aim of expanding and improving Maddison’s work. One of the first products is the paper by Jutta Bolt and Jan Luiten van Zanden, which aims to provide an inventory while also critically review the available research on historical national accounts. It also aims “to extend and where necessary revise” Maddison’s estimates. This paper was circulated by NEP-HIS on 2014-01-26. The paper starts by presenting, in a concise but clear way, the reasons that motivated the Maddison’s project and its main goals. It also tells that some issues are left to be the subject of future work, particularly thorny issues left out include the use of 2005 purchasing power parities rather than Maddison’s (1990) ones; and the consistency of benchmarks and time series estimates over countries and ages. Firstly (and fairly enough, from a ontological perspective) Bolt and van Zanden deal with the possibility of providing greater transparency in the estimates. Instead of presenting the margins of errors of each estimate (which in turn would be based “on rather subjective estimates of the possible margins of error of the underlying data”), the authors, following an advice by Steve Broadberry, choose to declare explicitly the provenance of the estimates and the ways in which they have been produced. This leads to classifying Maddison’s estimates in four groups: a) official estimates of GDP, released by national statistical offices or by international agencies; b) historical estimates (that is, estimates produced by economic historians) which roughly follow the same method as the official ones and are based on a broad range of data and information; c) historical estimates based on indirect proxies for GDP (such as wages, the share of urban population, etc. ); d) “guess estimates”. Then the article moves on to review and discuss new estimates: although revisions for the nineteenth and twentieth century (mostly falling under the “b” category) are also incorporated, the most important changes come from the pre-industrial era (“c” kind estimates). For Europe, we now have a considerable amount of new work, for several countries including England, Holland, Italy, Spain and Germany (but not for France). The main result is that, from 1000 to 1800 AD, growth was probably more gradual than what proposed by Maddison; that is, European GDP was significantly higher in the Renaissance (above 1000 PPP 1990 dollars in 1500, against 771 proposed by Maddison); hence, growth was slower in the following three centuries (1500-1800), while faster in the late middle ages (1000-1500). For Asia, the new (and in some cases very detailed) estimates available for some regions of India (Bengal) and China (the Yangzi Delta), for Indonesia and Java, and for Japan, confirm Maddison’s view of the great divergence, against Pomeranz revisionist approach: in the late eighteenth and early nineteenth century, a significant gap between Europe and Asia was already present (for instance GDP per capita in the whole of China was 600 PPP 1990 dollars in 1820, as in Maddison; against 1455 of Western Europe, instead of 1194 proposed by Maddison). New estimates are also included for some parts of Africa and for the Americas, with marginal changes on the overall picture (for the whole of Latin America, per capita GDP in 1820 is set to 628 PPP 1990 dollars, instead of 691). For Africa, however, there are competing estimates for the years 1870 to 1950, by Leandro Prados de la Escosura (based on the theoretical relationship between income terms of trade per head and GDP per capita) on the one side, and Van Leeuwen, Van Leeuwen-Li and Foldvari (mostly based on real wage data, deflated with indigenous’ crops prices) on the other. The general trends of these differ substantially: the authors admit that they “are still working on ways to integrate this new research into the Maddison framework” and thus at the present no choice is made between the two, although both are included in the data appendix. 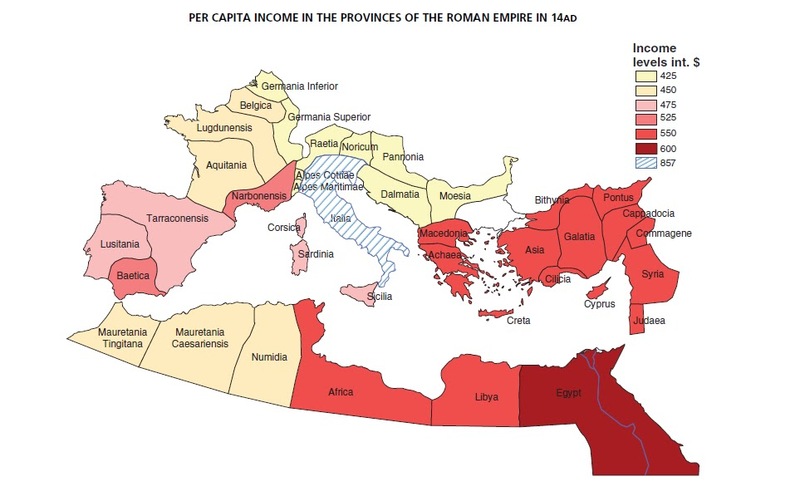 New long-run estimates are presented also for the Near East, as well as for the Roman world, in this latter case with some differences (smaller imbalances between Italy and the rest of the empire) as compared to Maddison’s picture. The authors also signal the presence of estimates for ancient Mesopotamia, produced by Foldvari and Van Leeuwen, which set the level of average GDP a bit below that of the Roman empire (600 PPP 1990 dollars per year, versus 700), but they are not included in the dataset. “All the numbers Maddison estimates for the years before 1820 are fictions, as real as the relics peddled around Europe in the Middle Ages (…) Just as in the Middle Ages, there was a ready market for holy relics to lend prestige to the cathedrals and shrines of Europe (…), so among modern economists there is a hunger by the credulous for numbers, any numbers however dubious their provenance, to lend support to the model of the moment. 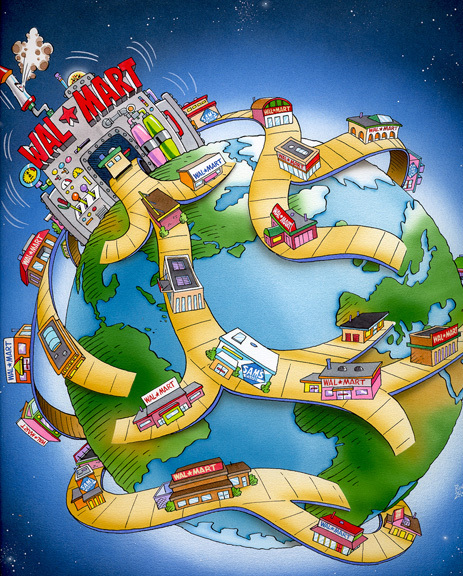 Maddison supplies that market” (Clark 2009, pp. 1156-1157). The working paper by Bolt and Van Zanden makes significant progress in substituting some fictitious numbers (d), with indirect estimates of GDP (c), but then in discussing the results it leaves unclear which numbers are reliable, which not, thus still leaving some ground for the “market for holy relics”. This is all the more problematic if we think that nominally all the estimates have been produced at 1990 international dollars. It is true that there is another part of the Maddison project specifically aiming at substituting 1990 purchasing power parities with 2005 ones. But this is not the point. The real point is that even 2005 PPPs would not change the fact that we are comparing economies of distant times under the assumption that differences in the cost of living remained unchanged over centuries, or even over millennia. This problem, not at all a minor neither a new one − e.g. Prados de la Escosura (2000) − is here practically ignored. One indeed may have the feeling that the authors (and Maddison before them) simply don’t care about the parities they use, de facto treating them as if they were at current prices. For example, they discuss the evidence emerging from real wages, saying that they confirm the gaps in per capita GDP: but the gaps in real wages are usually at the current parities of the time, historical parities, while those in GDP are at constant 1990 parities. If we assume, as reasonably should be, that differences in the cost of living changed over the centuries, following the different timing of economic growth, then the evidence from real wages (at current prices) may actually not confirm the GDP figures (at constant 1990 PPPs). Let’s take, for instance, China. 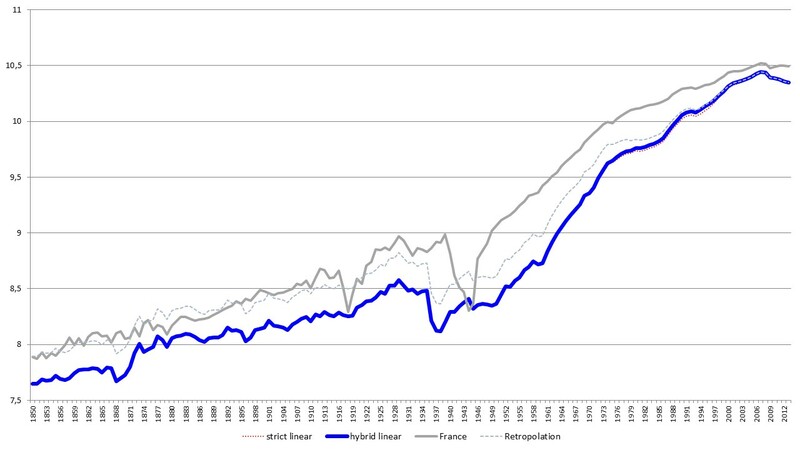 It could be argued that differences in the cost of living, as compared to Europe, were before the industrial revolution, say in 1820, lower than in 1990, given that also the differences in per capita GDP were lower in 1820 than in 1990; hence, prices in 1820 China were relatively higher. The same is true for China when compared to Renaissance or Roman Italy (since prices in 1990 China were arguably significantly lower than prices in 1990 Italy, in comparison with the differences in the sixteenth century or in ancient times). This would mean that real GDP at current PPPs would be in 1820 even lower, as compared to Europe; or that 1820 China would have a per capita GDP remarkably lower than that of the Roman empire, maybe even lower than that of ancient Mesopotamia. Is this plausible? Clark, G. (2009). 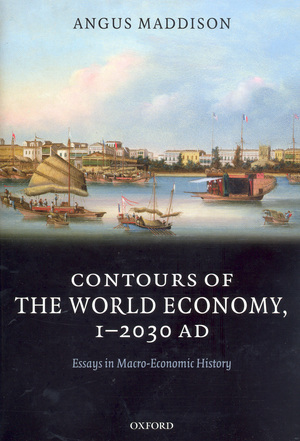 Review essay: Angus Maddison, Contours of the world economy, 1-2030 AD: essays in macro-economic history. Journal of Economic History 69(4): 1156−1161. Prados de la Escosura, L. (2000). International comparisons of real product, 1820–1990: an alternative data set. Explorations in Economic History 37(1):1–41. This entry was posted in Analytic Narratives, Analytical Narratives, Economic Geography, Economic History, Globalization, Historiography and tagged Bolt, economic history, GDP, globalization, Great divergence, Maddison, methods of economic history, purchasing power parities, van Zanden on 2014-01-27 by emanuelefelice. So, who was lightning the bulb in Latin America? The article analyses the evolution, strategies and position of American & Foreign Power subsidiaries in electric power sector in Argentina and Brazil from their entry in the mid-1920s to their nationalisation. We compare the economic performance and entry strategies followed by the American holding in different host economies. We also examine the relations between the American electricity firms and the Governments of both countries, focusing on the debates and policies that explain American & Foreign Power’s withdrawal from Argentina and Brazil in 1959-1965. Finally, the article reviews the role of foreign direct investment in the development of electric power sector in both countries. The study is based upon the Annual Reports and Proceedings of American & Foreign Power (1923-1963) and other corporate reports, Government statistics and official Reports from Argentina, Brazil and the United States. This paper was circulated by NEP-HIS on 2013-11-02. 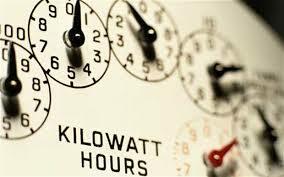 Its topic deals with the popular subject of energy provision. Indeed, there has been no shortage of turning points in the history of the energy markets around the world. Since the development of the electricity in the late nineteenth century, energy markets have been a constant cause for debate. The discussion ranges from technical and engineering issues (such as heated debates around Nikola Telsa and Thomas Alva Edison), to the adoption of common standards, to questions as to who will provide the service, to a wider debate on government policies such as pricing and, more recently, on how to become “greener” (see for example the debate on UK gas and electricity providers). In the developing countries, the debate on energy has been tied to the relation between the foreign direct investment, the efficient provision of electricity, and nationalization policies (topics that, by the way, were picked up from a business history perspective in William J. Hausman, Peter Hertner & Mira Wilkins “Global Electrification” (2008, CUP). The question on the relation between foreign companies investing in such countries and the debate on the effects of imperialism is also latent in recent research (see for example the work of Marcelo Bucheli, Stephanie Decker, or Niall Ferguson). 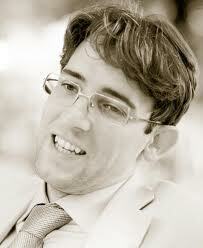 In this line of work, the paper by Macchione Saes and Lanciotti further explores the intricate relationship between a foreign company and its host countries but, at the same time, offers a contribution to the literature on Latin American foreign investment during the second half of the twentieth century. According to Alexandre Macchione and Norma Lanciotti, the arrival of the American and Foreign Power Co in Brazil and Argentina marked the start of an expansion of US direct investment in those countries, while seeking new consumer markets during the 1920s (p. 2). However, it is important to notice that the company arrived to the region more than 20 years after the first electricity companies had established. 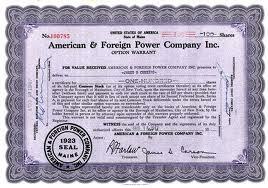 Therefore, the case of American and Foreign Power Co offers an example of the aggressive expansion of an electricity company that only few years after its arrival suffered the effects of the crisis of 1929 and later on, had to deal with centralization and nationalization policies. The aim of the paper is to analyse the evolution, strategies, and position of the American and Foreign Power Company in both countries between 1926 and 1965. Divided in four sections, including an introduction and the concluding remarks, it presents first the greater attention that US companies gave to Latin America after the First World War, looking mainly to the evolution of the company in the US market and the subsidiaries in Brazil and Argentina. Then, the paper discusses the shift of the regulation and describes the complex relation between the state and the company. As a result, the main sections widely discuss the investment strategies which focus was in improving the service while achieving higher returns. 1) The US investment was dominated by a few large holding companies that controlled the utilities supply in various countries. The localization in South America answers to both the search of economies of scale through new consumer markets and the need to diversify investment (p. 3). In order to keep growing in the local markets, the electricity companies acquired small and medium concessions keeping their organizational structure. Clearly, this served to the purpose of increasing returns, but there is no mention of the effects of this choice in the need for improving the service. In other words, how efficient the company became as a result of greater scale. 2) The effects of the Great Depression were greater than expected for the directors of the company. As explained by Macchione and Lanciotti, their main concern was that currency devaluation would damage the sustainability and profitability of their investments (p. 13), but they did not expect the shifted in the regulation that followed in the 1930s and 1940s. The link between government policy and business strategy is then questioned by the authors and the company strategies are evaluated. Small differences between the two countries are noticed, opening space for a future discussion on how foreign companies deal with diverse economic and political contexts, including an analysis of their role as regulators. 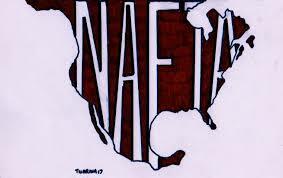 3) One of the main factors for the company’s decision to withdraw from the region was the expropriation lead by the Latin American governments since the late 1950s (p.22). But to what extent expropriations responded to the inefficiency of the company? Macchione and Lanciotti explained that the low quality of the service added to the fluctuation of the long-term revenues and, in some cases, led to the confiscation of assets by the local national government. These arguments, of course, are not to minimise political and nationalistic ideas driving the confiscation of assets in Latin America during the twentieth century. In summary, the paper Macchione and Lanciotti offers a case study that brings together elements from Latin American economic history that deserve more attention. These include the role of state, the interaction between businesses and regulators, foreign direct investment, and the relative efficiency of domestic acquisitions by foreign companies in the long-term. This paper is an important contribution to understand from the company perspective the links between strategy and government policies. This entry was posted in Business & Management, Entrepreneurship, Historiography, Latin America and tagged business history, electricity, energy, Entrepreneurship, networks on 2013-12-05 by berodsat. Abstract: It is often said that history matters, but these words are often little more than a hollow statement. 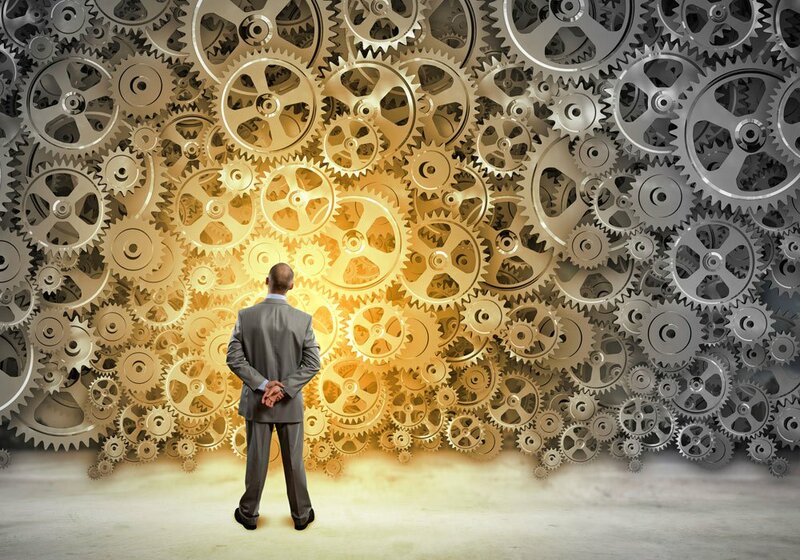 In the aftermath of the Great Recession, the view that the economy is a mechanical toy that can be fixed using a few simple tools has continued to be held by economists and policy makers and echoed by the media. The paper addresses the origins of this unfortunate belief, inherent to neoliberalism, and what can be done to bring time back into public discourse. Review by Manuel A. Bautista González. This paper, based on a lecture Francesco Boldizzoni gave as a scholar in residence at the Max Planck Institute for the Study of Societies, and distributed via NEP-HPE on July the 15th, 2013, explores the difficult relationship between history and policy, focusing on the ways in which scholars and policymakers have used and abused history in recent times. The unnamed field in the title of Boldizzoni’s paper is no other but economic history, which comes as no surprise for those following the reception of his book The Poverty of Clio. Resurrecting Economic History, a controversial and dismal depiction of the state of economic history published in 2011. In his book, Boldizzoni (research professor of economic history at the University of Turin, and fellow at Clare Hall in Cambridge University) argues that economic history is dead, sickened by the epistemological and methodological faults of cliometrics and the new economic institutionalism (NEI), as well as “a lack of historical sensibility, linguistic skills, and by an amazing level of scholarly illiteracy” amidst her practicants and followers (Boldizzoni 2011b). Boldizzoni claims that if scholars are to “resurrect” economic history, they must draw inspiration from the example set by historians of the Annales school, the historicized socioeconomic modeling of Karl Polanyi, Moses Finley, Alexander Chayanov and Witold Kula, and insights taken from the neighboring disciplines of economic sociology and economic anthropology. The paper now reviewed problematizes the relationship between history and policy, and more specifically, the interaction of economic history with economic policy, with particular attention to the uses and abuses of history and memory. Standing in the crossing of economic history, the history of economic knowledge and thought, memory studies, and the history of economics and science, Boldizzoni’s paper demonstrates the merits of interdisciplinary and multidisciplinary work, as his approach offers a nuanced, cautious answer to the role of historically-informed policymakers during economic downturns and illuminates what stance should economic historians have in the public sphere. Boldizzoni argues that history “is both a search for meaning and an injection of antibodies:” honest economic historians should necessarily denounce poor scholarship that mobilizes and abuses the past for political purposes in the present, and inform their audiences that the economic system is a “historically determined […] social construction, a man-made environment.” (Boldizzoni 2013: 10). This entry was posted in Economic History, Historiography, History of Economic Thought, Method & Epistemology in History and tagged abuses of history, Adam Smith, Boldizzoni, economic historians, economic history, economic policy, Eichengreen, Francesco Boldizzoni, history, history of economic thought, history of economics, method, methods of economic history, policy, Thomas Hobbes, uses of history on 2013-11-16 by Manuel A. Bautista-González.